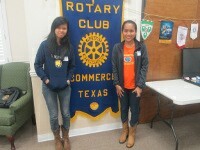 The Commerce Texas Rotary Club welcomed Estephanie Ebrano and Nafia Asaral to talk about the Minority Care International (MCI) program and how their experiences with MCI have changed their lives. Ebrano and Asaral, respectively from the University of Southeastern Philippines and the University of Immaculate Conception, are MCI’s sixth rotation of students in MCI’s International Student Exchange Program with Texas A&M-Commerce. Ebrano is studying special education and undertaking an internship at a Texas school district and rotating through K-12 special education classes. Asaral is taking biology and pathology courses at Texas A&M-Commerce for her degree in pharmacy and gaining work place skills in her internship at the Hunt Regional Hospital District. The Texas State Board of Pharmacy has certified Nafia as a Registered Technician Trainee. Both internships complement the MCI scholars’ coursework. 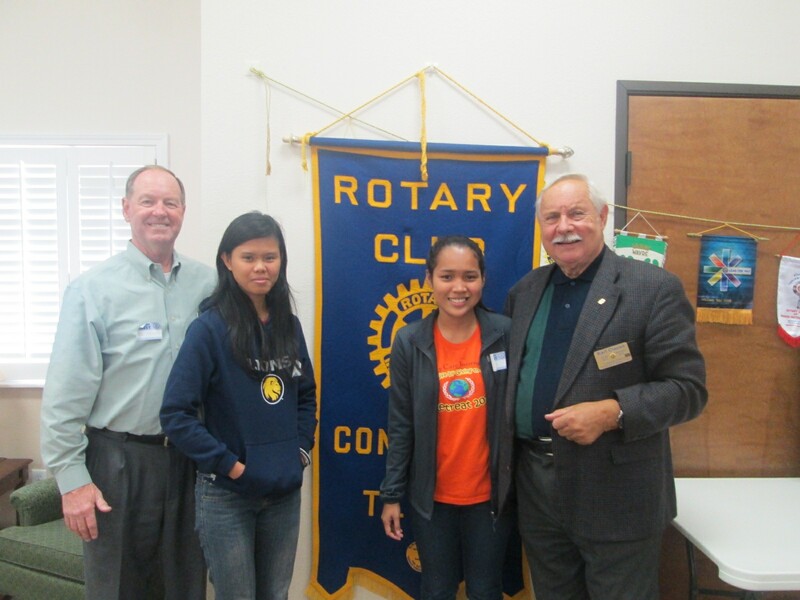 The students expressed gratitude for the work the Rotary Club does around the world in their educational and economic partnerships with NGOs and international Rotary Clubs. 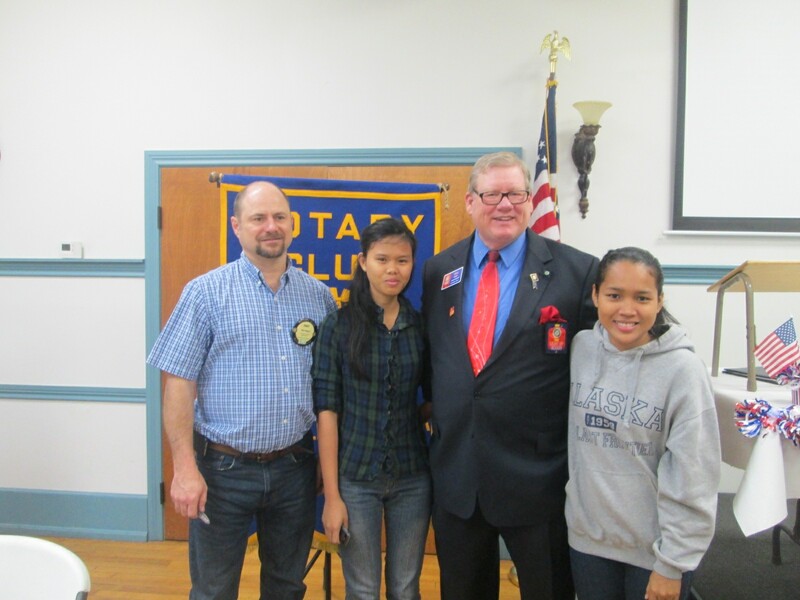 Three weeks ago Estephanie Ebrano and Nafia Asaral spoke to the Noonday Greenville Rotary Club and then subsequently to the Daybreak Greenville Rotary Club in each case giving a summary of their life-changing experiences under the MCI program. 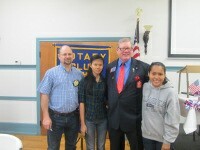 District Governor Bill Dendy spoke as the main guest at the Daybreak Rotary Club, and after hearing Ebrano and Asaral share their stories, he invited them to speak two days later at the Regional Rotary Club Roundtable in Plano, Texas. Rotary Governors from neighboring districts’ clubs gathered to update fellow Rotarians on their activities. Again the MCI scholars related their experiences and the role of MCI in giving them opportunities to attend college, graduate, and help their families as well as communities. Both girls were well received by all the District leaders in attendance. Site rebuit and maintained by Bobcat Open Systems, Inc. Contents are copyright © 2013-2019 by Minority Care International.